Goyo Optical Inc,established in 1976, produces a wide variety of lenses used in Machine Vision and CCTV Surveillance.Lenses include Megapixel,Day and Night,1inch format,line scan with f-Mount,F0.95,3CCD camera,UV,Telecentric,TV Macro,Micro Head,Scanner and Projection Zoom. 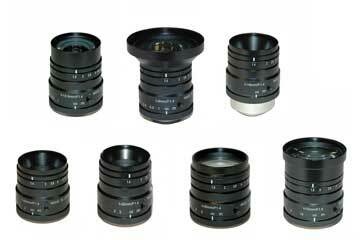 This page intoroduce 1-5megapixel fixed focal lenses. In case you search varifocal megapixel lens, please check High Resolution Megapixel Varifocal lenses page.